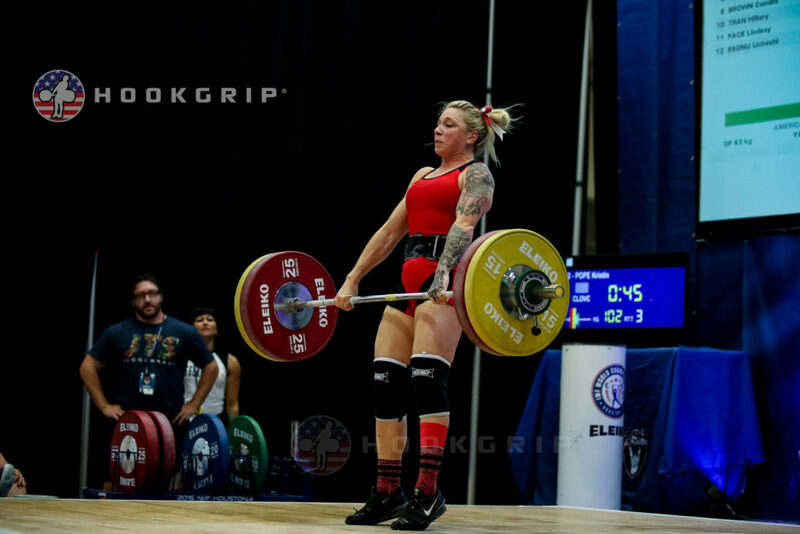 Kristin Pope started as a body-attack instructor at your typical globo-gym before finding CrossFit in 2013. 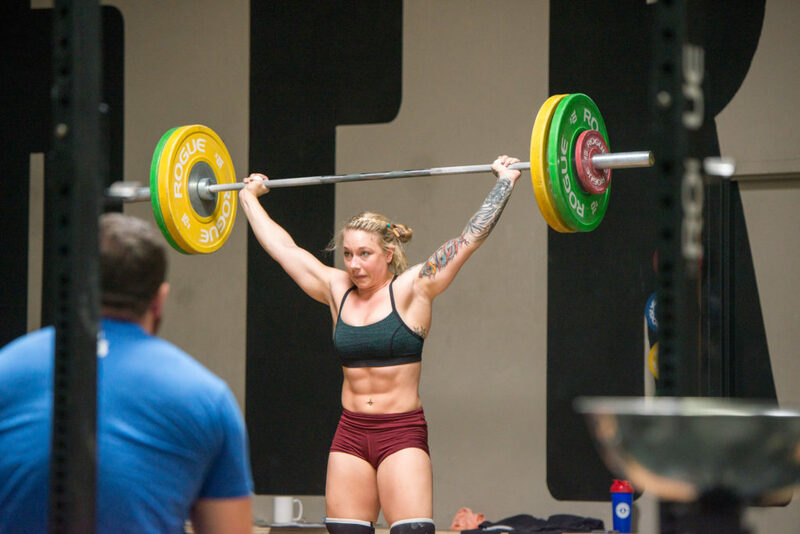 But previous ankle injuries from gymnastics made all the box jumps, running, and double-unders hard on her feet, so she decided to start weightlifting. 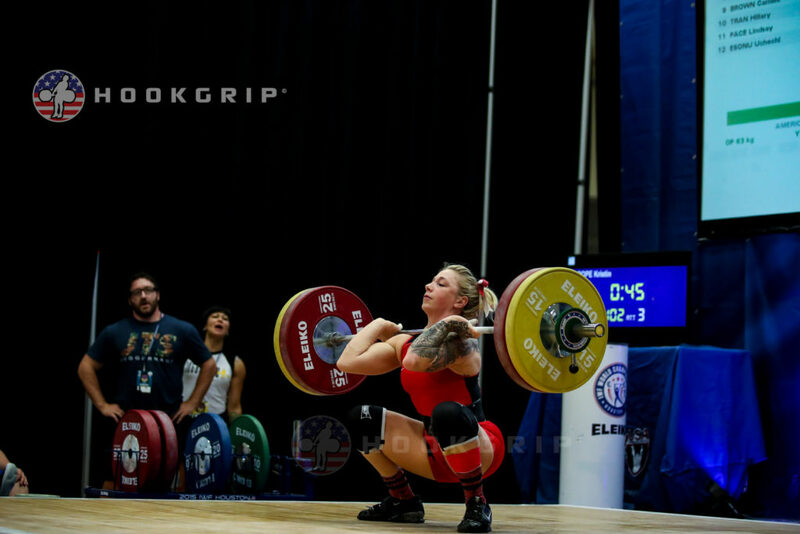 A few months later, Pope completed her first meet with a Nationals qualifying total. 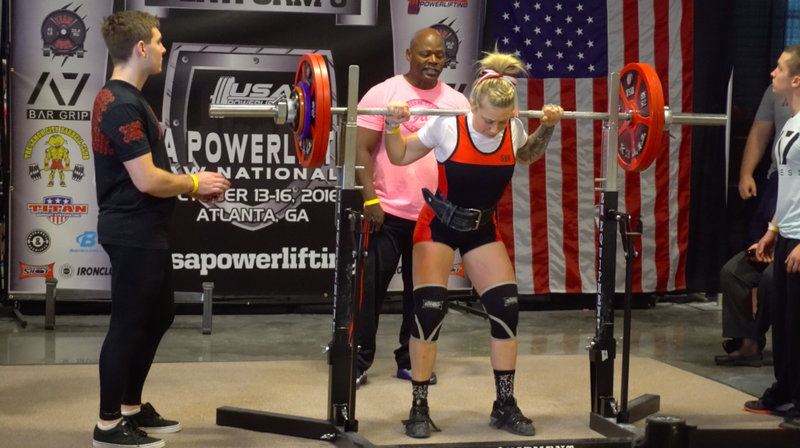 The flexible dieting coach recently competed for the first time as a raw powerlifting at USAPL’s Nationals. Athlete Daily: Being a flexible dieting coach what’s the one thing you wish you knew earlier on? Pope: “I wish that I had not cut weight so many times as close together as I did last year. That’s kind of the mistake I learned. This year at a couple of my meets, especially the local meets, I lifted at 66kg instead of cutting to a 63kg and that’s made a huge difference in my continual progress throughout the year, that I’m not always cutting back in weight. [It might] make a difference in trophies and maybe missing out on some money you could win. But in the big picture for making progress, I think it’s better to cut weight as [little] as possible. From a mental standpoint, it’s hard to always be so restrictive. It’s good to have those periods during the year where you’re getting to eat a lot so you know you’re growing new muscle and getting stronger. Athlete Daily: Most people assume the ‘If It Fits Your Macros’ (IIFYM) approach that you follow means you just eat junk food all day every day. Pope: “The way that I do it is try to focus on 80% whole foods and 20% “junk”—whatever I want to eat. That’s how I stay on top of it and don’t ever need “cheat days”, because I don’t really ever limit the foods that I eat. I do try to get most of my foods from real meat and fruits—I don’t eat to lot of vegetables honestly—but get a lot of my micronutrients (vitamins, minerals, etc.) from fruits and the few vegetables that I do eat. 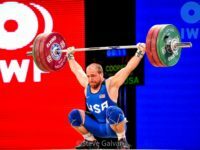 Athlete Daily: Do you feel like that approach works for you and maybe even prevents you from binging because you aren’t being super restrictive? Pope: “I would say I was kind of a binge-eater in college, because I would just restrict the entire amount I was eating without having any insight into foods or what category of macronutrient they were. And then I would just be so starving at some point and eat everything I could find. 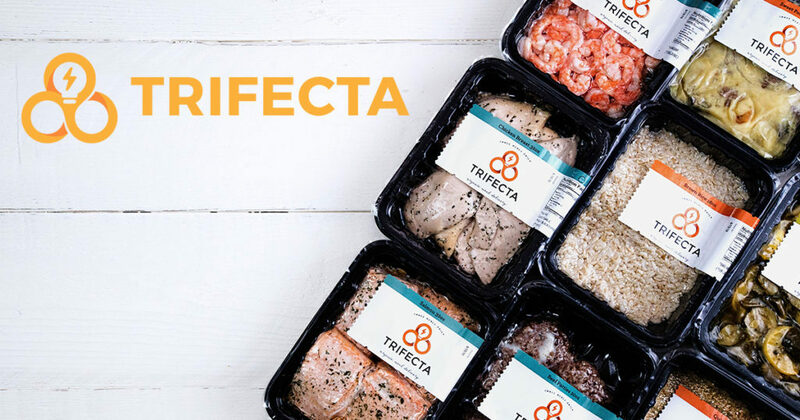 do take days where I’m like ‘I don’t want to count my macros today and I’m just going to eat whatever I want to eat’, but I know how to do that in moderation, and that’s another big thing about flexible dieting-it’s OK to not be a strict dieter 365 days a year. It’s really hard on your mental side of things to always be so regimented. With my clients as well I let them [do the same thing], maybe every three weeks to a month, take this day and you don’t have to track anything, but don’t eat until your stomach hurts, you eat until you’re full. Athlete Daily: If you don’t really limit the foods that you eat, why do you still take days off from tracking macros? Pope: “It’s just a way to stay motivated really. 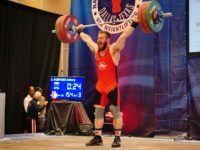 Between say USA Weightlifting National University Championships (in New Orleans) I did and [USAPL Raw Nationals], if I hadn’t taken those couple days in New Orleans to enjoy the city and eat all of that tasty food, I might not have made it [through] these three weeks. Athlete Daily: How did you get into flexible dieting? Pope: “When I first started competing seriously in weightlifting I started with more of a “bro-food” kind of diet, a straight up bodybuilding type of diet, because my dad was a professional bodybuilder for a long time and that’s what he told me to do. Mainly [I] was focusing on learning to eat enough protein, because I did not eat enough protein which is how most people are. So I tried to do [that] for a while and I’d just burn out eating the same foods over and over so fast. Some of my friends my friends were doing flexible dieting and I was really against it at first because I didn’t want to be that obsessive over counting my calories. I thought that was a little unhealthy, and then I decided I’m just going to give it a try and if it’s too stressful I would stop. Athlete Daily: You’re one of the first athletes we’ve really talked to say they don’t really like vegetables. Do you find it harder to get all your micronutrients and still maintain overall health? Breakfast – black coffee + OhYeah! ONE protein bar One thing that I do struggle with because I don’t eat a lot of greens is fiber. So I always have a protein bar that’s high in fiber. Train 1:00-4:30pm. I always have a Pop-tart before I train, red velvet is my favorite, and I usually have a Lenny & Larry’s Complete Cookie or a Rice Krispies Treat in the middle of my training. Dinner — Something on the grill-chicken thighs, steak, or burgers with lean ground beef + sweet potatoes or regular potatoes plus one of the few veggies I eat or some fruit. Bedtime – In the rare occasion that I have carbs left I’ll eat some cereal at night. I like all the little kid cereals- Fruit Loops, marshmallow cereals, stuff like that. 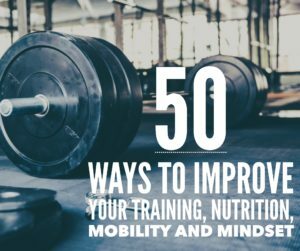 diet, flexible dieting, IIFYM, juggernaut training systems, kris pope, macros, nutrition, nutrition series, nutrition tips, weightlifting. Bookmark.